Based in the vibrant city of Sheffield with its amazing facilities, transport links and access to the Peak District, Mercia Learning Alliance is a first class choice for graduates looking for a successful career in teaching. Mercia Learning Alliance offers aspiring teachers a broad range of opportunities across subjects and key stages. Working with either The University of Sheffield or The Sheffield SCITT, you will shadow colleagues and learn about the teaching environment in a range of contexts across the city. The placements in our partner schools across Sheffield give you valuable insights into different contexts and challenges faced to prepare you fully for a successful career in teaching. With a wide range of postgraduate qualifications on offer, you will have the opportunity to carry out your training in some of the best schools in the country, learning from inspirational teaching staff who are leaders in their field. We will offer support with recruitment and job applications and should a suitable vacancy arise in one of our network of schools, you may be fast-tracked to the interview stage. A partnership of outstanding schools with high quality providers (PGDE with The University of Sheffield, Primary QTS with potential to gain PGC through Master’s Modules with The Sheffield SCITT). A high quality training programme for English, Maths, the Sciences, Modern Foreign Languages, Geography and History and Primary Education. The Sheffield SCITT is the provider for the Primary course and they passionately believe that the 100% School Based Initial Teacher Training route into teaching is effective and helps develop a firm foundation to allow teachers to become the best possible teacher they can be. A course led by a highly skilled team of mentors and lead teachers. A wide variety of opportunities to collaborate with other schools across Sheffield and gain experience in a broad range of school environments. 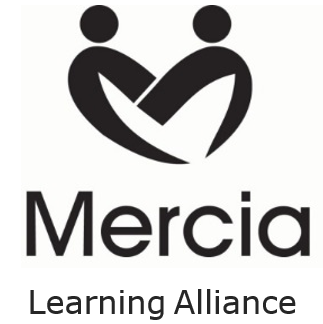 You will be part of Mercia Learning Alliance from day one, which means we take a real interest in your development as a teacher, from training through to leadership. You will be a fully-fledged member of staff of whichever schools you are based in and in that way benefit from all the CPD opportunities available – including those linked to us as a Teaching School. Make a valued contribution to our schools - be welcomed as part of the team. Achieve a PGC with 60 masters’ credits, or a PGDE with 120 masters’ credits and recommendation for QTS. You may be able to continue to study for your full masters’ qualification with the university through distance learning in your first or second year of teaching, needing only to complete an additional 60 credits for this.